Well, summer is almost over and I hope you have enjoyed yourself. I sure did. Kids are almost back to school and it’s time to start blogging again. Did any of you play any golf this summer? Of course you did. Obviously I’m not alone. Even though my philosophy about golf is to get my cost per stroke down I still enjoy crushing a nice drive now and again. Most golfers know that these days to be a good golfer you need to be fit. 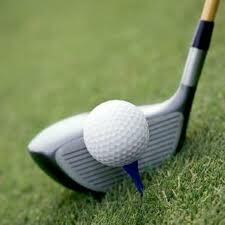 If you are not doing any form of exercises it will impact your golf swing, and your golf game will be off. I found that doing special golf work out exercises can really help your golf swing. I found a great book I want to share with you called Golf Fitness Made Easy by Kevin Moses, BS, CSCS. Kevin is a Certified Sports and Conditioning Specialist and his book is very easy to follow with photos and his free video membership. Of all the golf swing aids and golf training aids I have purchased over the years this is by far the best golf training aid of the century. Do yourself a favor, if you live to play golf and you like fitness, check this out.